We put the big family Christmas tree up this week, and boy does it smell wonderful. Every year I also put out a smaller, not-so-real, Christmas tree that is a bit Charlie Brown in its nature. It’s the perfect place to inject a little personality and charm. Crafting these miniature felt wreaths was a perfect way to start. They are fun for the tree, and would be festive present toppers too! 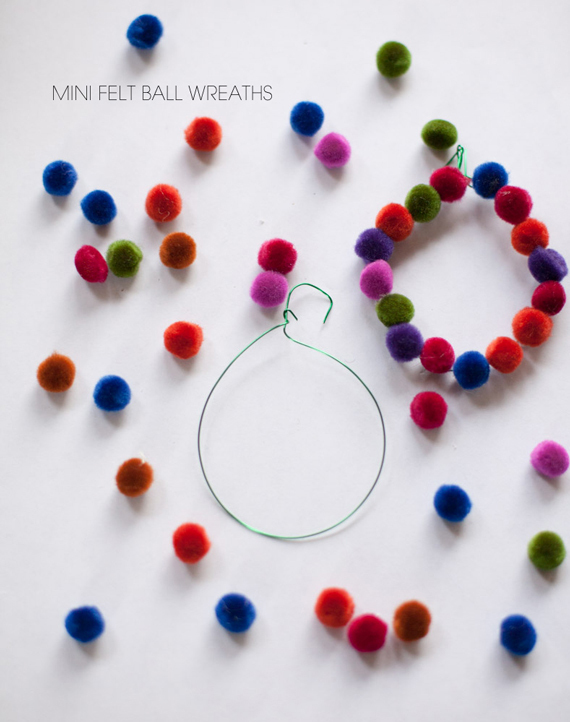 Find bags of miniature felt balls at your local craft store and purchase thin grade jewelry wire. Cut and shape the wire into a miniature wreath and glue the felt balls on top. 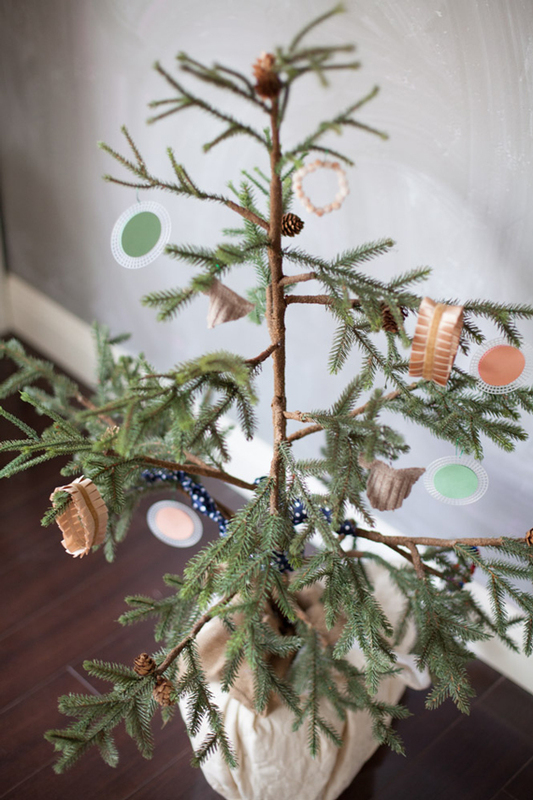 Mix up the colors for a confetti looking wreath, or stick with a single neutral color for a more bold ornament. 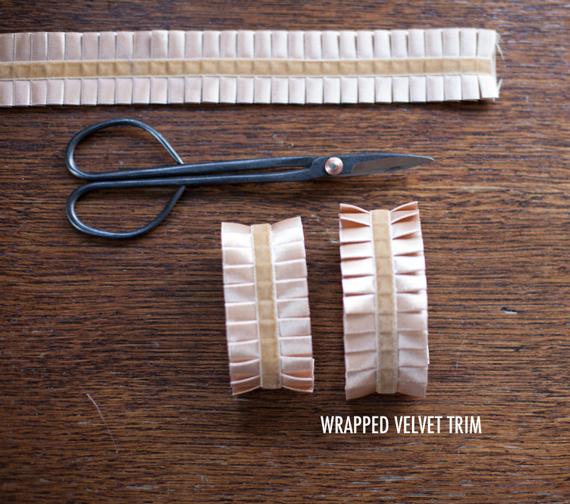 I immediately fell in love with the ruffled velvet trim in the by-the-yard ribbon section. The section is brimming with so many beautiful textures and colors this time of year; it is a definite shopping must-stop. Purchase a yard of your favorite trim and cut it down to 4 inch pieces. 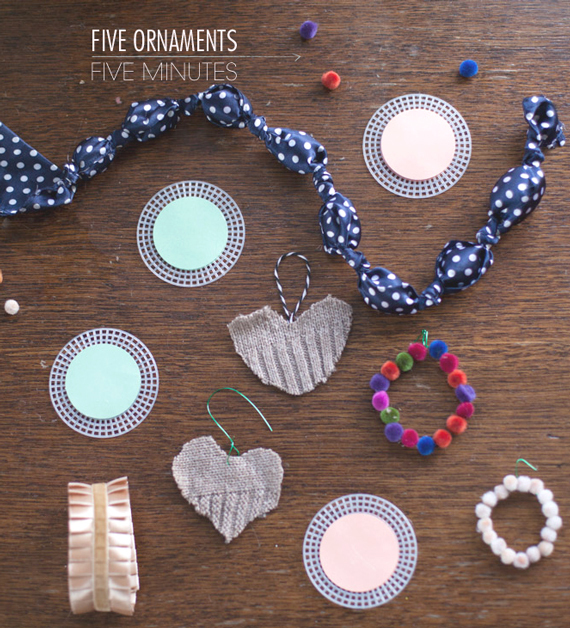 Wrap each piece in a circle and finish with a simple stitch or dot of glue. The velvet looks so fancy and adds a nice touch to the ends of the branches. 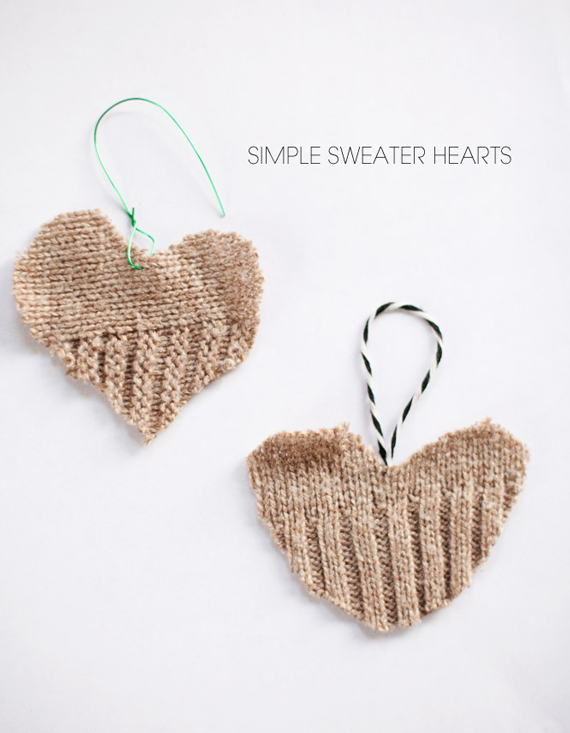 Reuse last year’s not so fashionably cut sweater to make these simple sweater heart ornaments. The textures and colors in holiday sweaters are the perfect combination for a cozy Christmas tree feel. 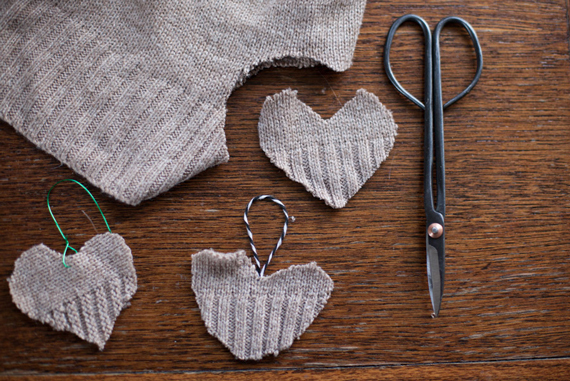 To make the sweater hearts, cut a heart out of the thickest part of an old sweater and thread a thin length of jewelry wire through to create a hook. Finish off with stitches, or leave the ends to ravel and roll a bit for a cozy winter feel. 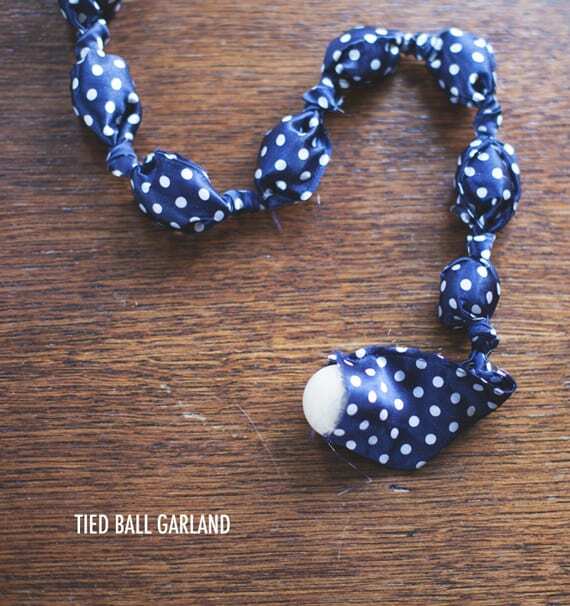 Making this tied ball garland is an old tradition of mine. It is simple, and when done in long strands, can make a very substantial impact on any Christmas tree. Find a long strip of colorful fabric and begin with a knot at one end. Fill the fabric with a small Styrofoam ball, twist and tie it into line. Repeat this all the way down the fabric. When you run out of fabric, simple tie another length on and continue knotting until you’ve reached the perfect length. 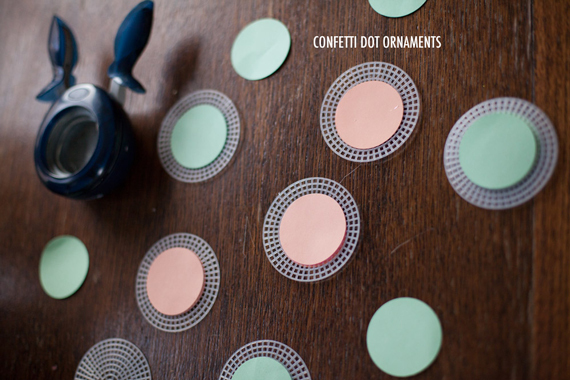 Bright confetti dot ornaments will bring any tree (not matter how fake) to life! I am dreaming of a day when I can make hundreds of these to completely decorate a tree in lights and confetti! Use a 2 inch hold punch to cut out the confetti pieces and attached them to both sides of a plastic needle craft canvas. The canvas adds stability and strength to the paper confetti, helping it to stand out and be seen on the tree. 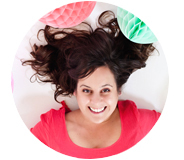 These are great, I was going to do something similar with pearls instead of Pom Poms. Can’t wait to put my tree up this weekend! Lotts, Ohhhh pearls would be amazing! The Wrapped Velvet Trim, made a bit smaller, would also make great napkin rings.